During his first run for elected office, Barack Obama played a greater role than his aides now acknowledge in crafting liberal stands on gun control, the death penalty and abortion– positions that appear at odds with the more moderate image he’s projected during his presidential campaign. The evidence comes from an amended version of an Illinois voter group’s detailed questionnaire, filed under his name during his 1996 bid for a state Senate seat. Late last year, in response to a Politico story about Obama’s answers to the original questionnaire, his aides said he “never saw or approved” the questionnaire. But a Politico examination determined that Obama was actually interviewed about the issues on the questionnaire by the liberal Chicago non-profit group that issued it. And it found that Obama – the day after sitting for the interview – filed an amended version of the questionnaire, which appears to contain Obama’s own handwritten notes adding to one answer. In 1996, Obama ran as a political unknown, although one with friends in high places — friends like Tony Rezko, William Ayers, and Bernadette Dohrn. He wanted the endorsement of Independent Voters of Illinois, a group in which he and his campaign manager had worked in the past. The survey was an important part of IVI’s vetting process, and Obama needed to make sure that it had the answers he needed for the endorsement. So what were Obama’s positions in 1996, according to the questionnaire that bears his handwriting? Opposed to parental notification on abortions. He amended this to say that he might possibly support it for 12- or 13-year-olds, but no older. Flatly opposed the death penalty, a position he denied ever having. Supported bans on the sale, possession, and manufacture of guns, again a position he denied ever taking. Those positions won’t even fly with a large number of Democrats, let alone in a general election. The Hillary Clinton campaign has already begun making the argument to superdelegates that Obama holds extremist views so out of touch with the American electorate that he can’t possibly win in November. 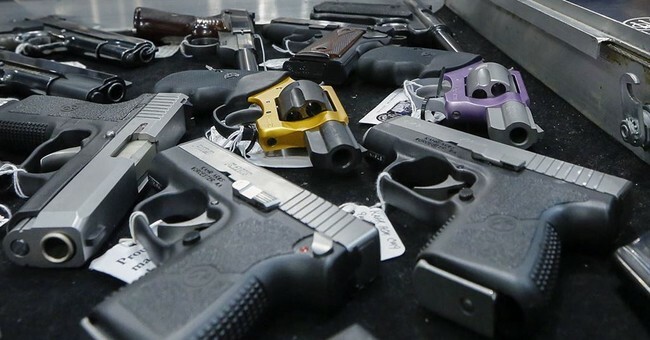 The questionnaire will bolster that argument, especially on guns, where the Democrats had tried to soften their stance since Al Gore lost his home state of Tennessee in 2000. Through an aide, Obama, who won the group’s endorsement as well as the statehouse seat, did not dispute that the handwriting was his. But he contended it doesn’t prove he completed, approved – or even read – the latter questionnaire. This makes no sense at all. If Obama’s handwriting is on the survey, then he filled it out. If the answers didn’t reflect his views, why didn’t he change them when he “jotted some notes” on it? If the answers were wrong, Obama would have “jotted some notes” to that effect, rather than allow such mistakes to get transmitted to IVI. And the “eleven years in public office” defense might make sense if Obama hadn’t spent much of that time voting “present” instead of taking actual stands. Once again, we have more evidence that Obama represents nothing more than the political winds. He has zero credibility, zero experience, and a penchant for telling people what they want to hear rather than any truth about what he actually believes. Either he lied to IVI or he’s lying now. In either case, it’s hardly the New Politics Obama has promised.